Crawl Down Low and Go Go Go! 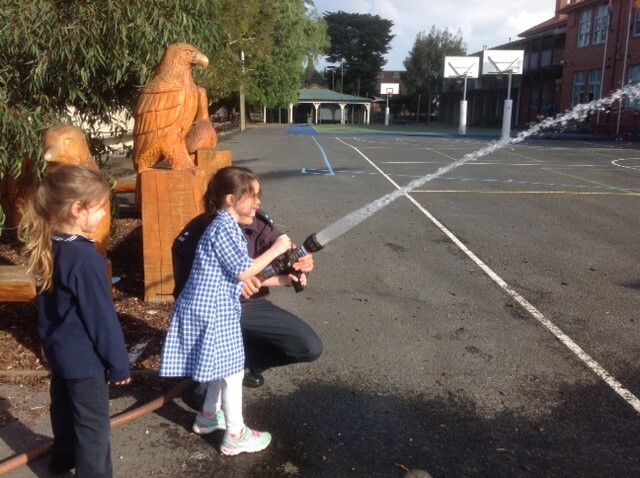 It was all bells and whistles for the Preps last week – Sophie Apperly tells us about a visit from some fire-fighters. 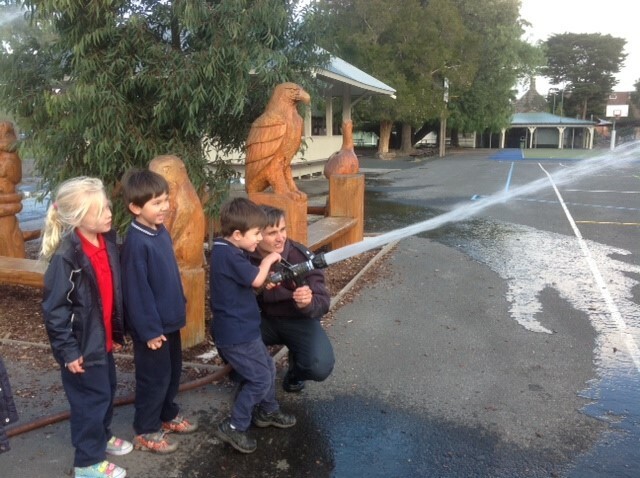 The Preps recently enjoyed the ‘Fire Ed for Preps’ education program delivered by the Melbourne Fire Brigade. 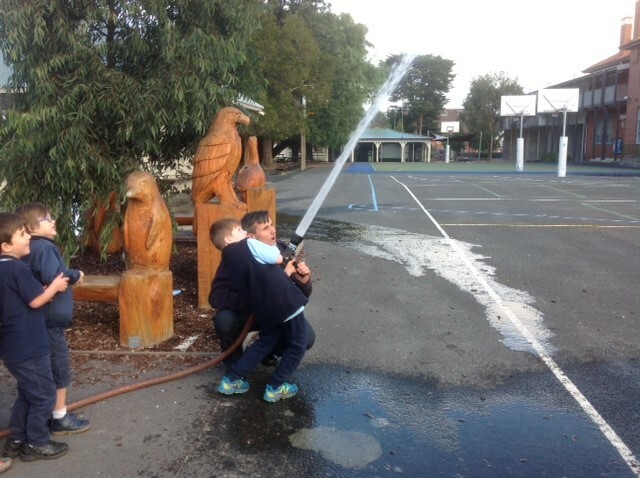 Over two sessions the Preps learnt about fire safety while experiencing a little bit of the world of a fireman or firewoman. 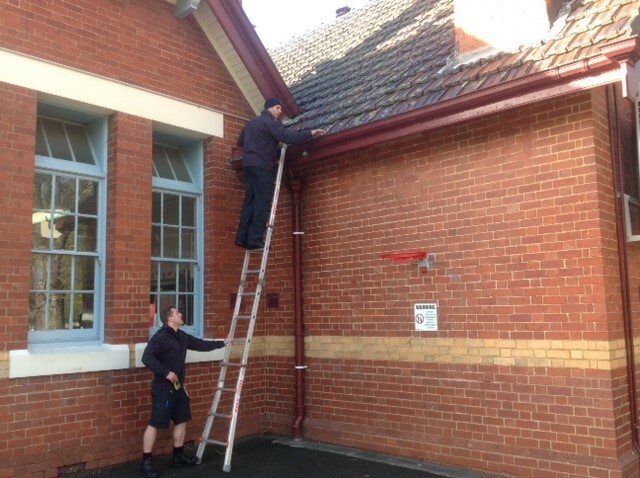 • Witnessed a real life rescue right in front of their eyes as one firefighter used his extremely long ladder to retrieve a yellow Sherrin football from the top of the Junior School Hall. Olivia: I liked it when I went into the fire engine. Jimmy: I learnt about crawl down low. Will: I learnt to get down low and go, go, go! Sophie H: I squirted the hose and it was fun. 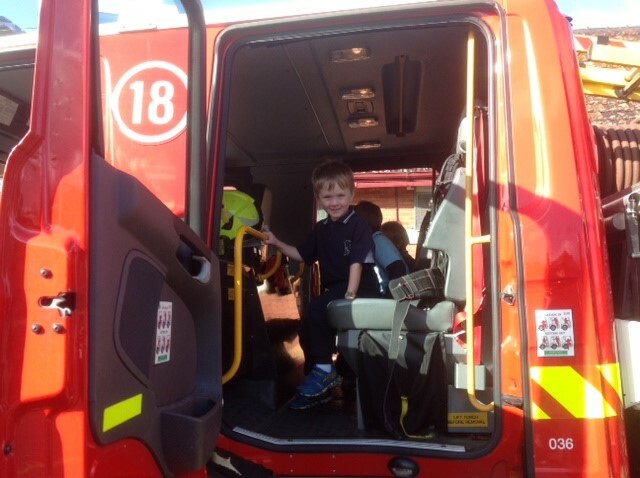 Sarah: On Wednesday afternoon I got to go into the firetruck. Max: I learnt that a good fire is when everyone is safe. Charlie: I liked squirting the hose. This entry was posted in Learning, Students and tagged incursion, Prep by Kate W. Bookmark the permalink.